Aging is a part of life that, although we’re all aware of, we still find uncomfortable to deal with. 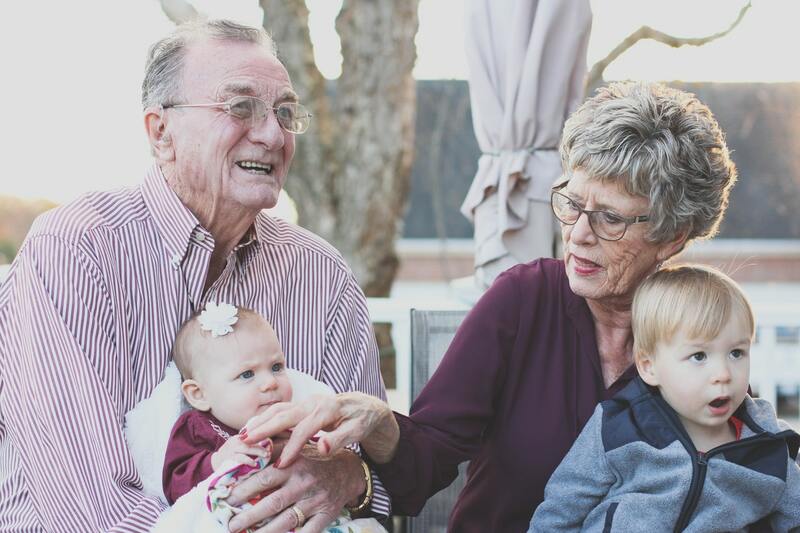 This can be especially true as we watch our parents getting older – it may be a natural part of life, but it certainly doesn’t make it easier, especially in cases where old age really doesn’t seem to be kind to them. When it comes to our parents, we want to remember them as being young, fit and healthy forever, but this isn’t often the case. However, it doesn’t all have to be doom and gloom. Nowadays, people are living longer thanks to advances in medical science as well as more awareness around healthy lifestlye and diet. The other thing to remember is that there are a lot more options nowadays when it comes to caring for our aging parents. In the past, it was expected that they would go to live with their children, and whilst this would be the ideal option for everyone, it’s unfotunately just not the most affordable or practical option since it would often require someone to give up their job to care for them and in today’s economy this isn’t always going to work for everyone since typically most families really need two incomes. However, today there are plenty of alternative options such as nursing homes and live in carers who can help you with this and who will be able to provide a more professional levels of care that your parents actually need. So, in this post, we’re going to share with you some of the ways to care for your aging family members. Nursing homes have gotten something of a bad reputation over recent years, but it’s important to remember that nursing homes have been successfully operating all over the world for decades to provide great levels of care for their patients and offer much needed respite for family members, and whilst some may be operating in unethical or even illegal ways, the majority are there with a focus on making sure their patients are well cared for and looked after in the right way. When it comes to looking for a nursing home, it’s important that you take time to do your research and ensure you find the one that’s suitable for your family member’s needs – for example, some are more catered for residents who are still in relatively good health, but who may just need a little supervision and support or even getting some social interaction whereas others will be more focused on higher levels of medical care, caring for those with things like advanced alzheimers and other terminal conditions. When meeting with nursing homes, it’s important to take time to speak with the staff since they’ll be the best people to advise you on whether the home is equipped to deal with your situation. They will also be more sensitive to your case if the time comes for discussing things Heart of England Funeral Homes or changing the level of care that your parent will need. If a nursing home is not something you’d be willing to consider, then you can also look at getting a live-in carer. This can be a good option for when your parent is perhaps not needing round-the-clock care, but just needs some supervision, someone to run errands and even some company since loneliness is actually one of the biggest issues facing elderly people. Dealing with the issues facing an aging parent is going to be bringing up some tough conversations that nobody wants to have, so it’s important that you keep the communication open with them and make them feel like they’re a burden or that you can’t get them into a home quick enough. It’s good for them to know that you’re looking out for their welfare and you’ll only make decisions they’re comfortable with.